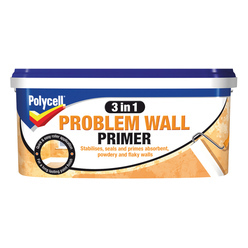 Polycell Problem Wall Primer is a unique roller-applied product that solves common wall and ceiling problems in one coat. It seals, stabilises and prepares flaky, powdery or absorbent surfaces, providing a sound foundation that’s ready to paint. Seals, stabilises and prepares flaky, powdery or absorbent surfaces. Provides a sound foundation ready to paint in just one coat. Easy to apply with a roller. Ensure surface is clean, dry and free from loose particles, wallpaper and mould. If a mould is present treat with Polycell Mould Killer. Allow fresh plaster to dry for 7-10 days before treating. Chalking distemper paints should be thoroughly removed before use. 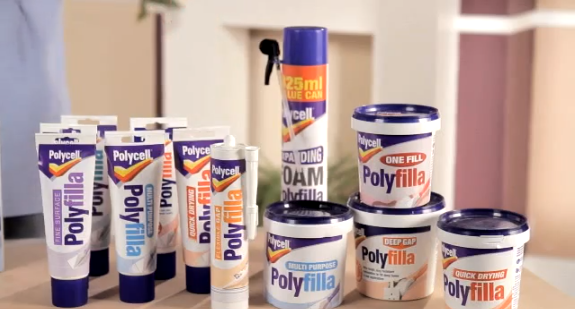 Apply 1 coat of Polycell Problem Wall Treatment using a roller. Once dry, the surface can be finished with all types of decorative paints. After use, remove as much product from the roller as possible and wash with warm water.